The City of Juárez, Mexico makes headlines for two things: femicide or the “disappearances” of women, and being the center of cartel warfare. Since 1996, the murder rate in Juárez has been so high that at its peak, there were 10 murders a day. Now, Juárez is a city filled with posters for missing girls and murals dedicated to those who have passed away—and those whose murders remain unsolved. In the city, 95% of murders are never investigated or prosecuted. It can feel like justice will never be served. Amidst this backdrop, the nonprofit Casa Amiga Esther Chávez Cano is trying to make a difference. Through campaigns like “¡Ni una mas!” (“Not One More!”), marches, demonstrations, and community action, Casa Amiga is part of a larger movement in Mexico towards women’s rights and gender equity. The organization provides intervention services to help survivors of family and domestic violence, including medical attention, access to a women’s shelter, psychological treatment, and legal help. Additionally, Casa Amiga works to do outreach in the community and educate the public about domestic violence as a means of prevention. 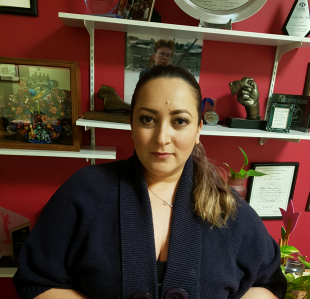 We spoke with Lydia Cordero, Casa Amiga’s director, so she could give us insight into how the nonprofit is working to bring attention to gender equality and the challenges that women in Juárez face. Why did you decide to fight for gender equality? Working with Casa Amiga helped me understand that issues regarding gender equality affect all aspects of life, especially for women. Getting to know such extraordinary women and to see the magnitude of the gender issues in our society, was to remove a veil from my eyes. What inspires me most about working here is seeing the transformation of other women, and to see the changes that might seem small to us, but to them are very significant. It was incredible to hear a group of women, this past weekend, speak through tears and say, “[Casa Amiga] literally changed and saved my life.” [One of the women] said that before, she never appreciated breathing, and now when she breathes, she feels free, like the owner of herself. She can also transfer [this feeling] to her sons and daughters. So it’s not just an individual change, but a social change that shifts the way that women look at themselves. How did you start working at Casa Amiga? I started as a volunteer. I’m not originally from here, I’m from Chihuahua. I had come from a very traditional and religious family—my father is a Christian pastor—and there are very specific ways that women are expected to behave. So I came here with an idea of the way “women were supposed to act.” But I was never interested in those traditional roles; instead I was interested in studying and getting an education. My parents asked me: why? “You’re going to get married and have someone take care of you.” I had one role, and getting out of that role risked suffering from a lot of violence. Once I got to Juárez, I encountered a very different way of life than what I was used to. On the border, there are many different cultures and many people openly sharing their ideals. I started to learn about a totally different social dynamic. I started to ask myself all of the questions I had asked myself back when I was at home. I saw gender inequality, violence against women, and I realized that what I had lived through was violence. I started to understand something very important: I had rights. Not only did I have rights, but my life was in my hands. So my desire to leave my hometown and get an education was my right, and that’s how my paradigm started to shift. Discussing this shift with women really helped me to open my eyes as well. I was surrounded by a very diverse group of women who had come from extraordinary circumstances—most importantly Esther Chávez Cano, who was my teacher and example. What was your most defining moment at Casa Amiga? What really changed the mission of the organization was the experience we had with one woman, named Maria Luisa. Her partner physically hurt her and often threatened her. This was in 2001, when Casa Amiga was barely two years old. In order to protect Maria Luisa, our former director gave her work here as a receptionist. But Maria Luisa’s partner waited for her outside of Casa Amiga and murdered her in front of our doorsteps. That totally changed the course for Casa Amiga. I remember Esther asking herself if what we were doing was meaningful before, or if we were putting women more at risk by making them the focus of our work. That was a critical moment for the organization, and for everyone working here. That’s when the idea of establishing a refuge and sanctuary for women was born. I dedicated myself to this right away, in addition to studying psychology to better serve the women here. That is such a powerful and tragic story. I’m sure that many women who have come to Casa Amiga faced similar dangerous circumstances. Can you talk to me about some of the challenges that women still face? There are many. You think you’re making progress, and then you realize how behind the system still is. 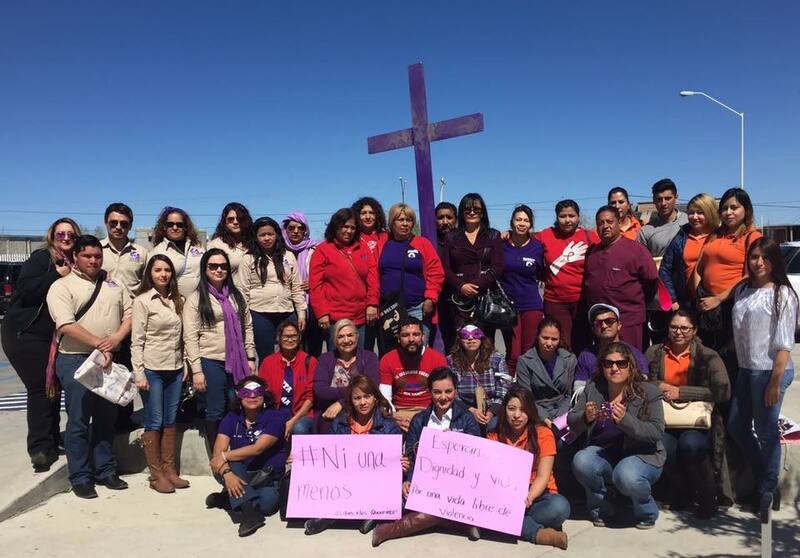 In one area of Juarez, even though there have been advances in women’s rights and legislation, there are still people who don’t understand the struggle for gender equality. They think that women have more rights than men, but there is still so much inequality; many women still die at the hands of their partner, family violence still persists, and so there are still many issues that don’t seem to have changed very much. We have to be conscious of how challenging the road to gender equality is, in order to appreciate the small achievements that we are making. We need to celebrate all of the accomplishments women are making, and really make an effort to applaud them. Because these are women that were on the verge of committing suicide, who didn’t know what they were going to do with their lives, and now they are totally different. They’re working, they’re making changes in their lives, they’re making alliances with women. They’re speaking loudly, laughing, and finally feeling free. That’s incredible. What message do you want to communicate to the public about your mission? I would really appreciate if men and women could familiarize themselves with the topic of gender inequality. We hear about it all the time, on the news or because of proposed legislation changes, but we don’t know the history or where it comes from. Many of the critiques on achieving gender equality are coming from a place of ignorance. What permits gendered violence really is ignorance. So if the public educated themselves on gender inequality, they would feel solidarity with women and our movement would be even more powerful. It’s important to really understand that if women are better off, then all of society is better off. Inspired by the story of Casa Amiga? Consider donating to their crowdfunding campaign so that the women of Juarez can live free of fear and violence.